There are many seed banks that ship to the US. Some are lesser known yet reputable, others will simply drop the ball. We have done our research and compiled a list of the top 6 seed banks that ship to the U.S.A. 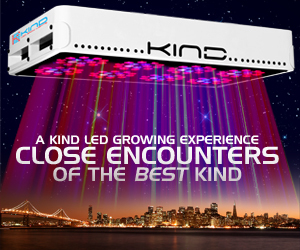 If you are an indoor or outdoor grower, someone who grows with LED grow lights, or HPS grow lights you will want to take note for your next grow. The seed banks on our list have a reputation of following through and providing high quality seeds shipped to your doors in the US. Often better than most US suppliers for their variety of seeds they can offer you and at great prices. The best contender in the category of shipping seeds overseas to the United States comes from this seed shipper. They are the top online seed bank due to their ridiculously fair pricing model along with providing some of the top strains. Their inventory is always top notch. Providing quality potent THC feminized seeds so you can produce and grow cannabis plants that have a great reputation in the strain world and will knock your socks off. Their selection alone puts them as THE front runner in seed banks that ship directly to the US. There are a couple reasons why The Vault Seed Store is on the list. For one they have a huge selection of seeds that are reliable. Anytime we have ordered from them the seeds germinate without fail – every time. Second their shipping is fast along with discreet packaging. It takes about 7 to 12 days to receive your US bound shipment of seeds. As a bonus they also include a few extra bonus seeds with every order. They are a company that believes in customer forward service as well. They want you to be satisfied completely with your orders from the seed bank. The folks at I Love Growing Marijuana is a top US seed bank that ships around the US. They have a good number of strains to choose from and deliver strains that are close to my heart. Everything from Indica, Sativa, Hybrids and auto flowering seeds that don’t seem to disappoint. The customer service is also top notch. They are happy to answer your questions and help you along with your growing. They answer their emails and phones 24 hours a day and ship within 10 business days. They also take most payments from credit cards to bank transfers. An experience seed bank that ships worldwide minus AU. One of the older seed banks that sells online for all your seeding needs. Because of the growth in the cannabis industry they have maintained and outsold many other seed bank companies across the globe. Supplying large scale farms as well as individual growers. They seem to provide quality seeds at a good price. They also have sales from time to time so check them out frequently. Around for over 20 years, the Hemp Depot is a well-known seed supplier across the growing community. They often win many awards for their quality seeds. Offering strains such as Northern Lights and Hindu Kush they are a top seller of great seeds that don’t seem to fail. They mostly ship to countries in the EU and other countries depending on location. Their shipping is fast and discreet along with moderate pricing for their seed shipments. Having attitude with these guys is a non-issue. They offer a wonderful product in their cultivated seeds that are completely feminized. Carrying a wide assortment of seeds for sale that are grown by artisans of the cannabis growing world. Hand crafted good bud comes to mind with their seeds. They offer those hard to find strains, that you can’t find anywhere else. If they don’t have the seed you are looking for, it probably doesn’t exist. Cannabis Cup winners are lined up on their shelves and ready to be shipped straight to your doorstep. The seeds arrive fresh and ready to be germinated. Their secret is refrigeration during storage, so the seeds never fail. Seeds in the US are hard to come by. Even in most legal states the varieties you can purchase are limited. If you need great seeds it is sometimes necessary to order from overseas and have them shipped to your home or office. Before you start growing you should be aware of the laws in your state to make sure you are breaking state laws first and foremost. Always order from reputable companies as oversea shipping and buying can be sketchy if it is a lesser known company. They can simply keep your money with zero repercussions.